Please note All of the above Qi flows can be enhanced or kept at their maximum by practising the different ways that we practise either the New Yang Style Taijiquan (Yang Cheng-fu) or the Old Yang Style (Yang Lu-ch an). However, it is only the Yang Lu ch'an's form in which we are able to enhance the fa jing Qi flow. All of the ways that we perform our Taijiquan will enhance all of the eight flows of Qi to a certain degree (other than the fa jing flow), hence the fact that all Taijiquan is good for your health. However, certain ways of performing our Taijiquan will work better than other ways in enhancing certain flows of Qi. Therefore, I will present those different ways of performing the Taijiquan form that will greatly enhance certain flows. Well, there are certain physical and internal signs that one is able to look for provided they are told about them. In just the same way that the body lets you know what it wants in the way of healing, provided that you are in tune with your body, Taijiquan lets you know how you are progressing by having certain physiological signs appear in or on your body. These signs begin the moment you begin your Taijiquan and Qigong training. In learning,use natural breathing through the nose, but keep the breathing slow and gentle. With practice, breathing will be gradually mateched with the movements. Intentional matching of breathing with movements for beginners may, however, be harmful. After about one year's practice of Tai Chi Chuan when the movements become correct, smooth and effortless, the teacher may be requested to give instructions on the method of breathing during the exercise. 16. Tai Chi Chuan may be played any time of the day, but the best time is in the early morning before breakfast and one hour before bed time. Avoid doing it immediately after a heavy meal, and do not sit down or take a cold water bath immediately after the exercise. The principles and techniques of Tai Chi Chuan are somewhat unusual. All however are contained in the Golden Maxims handed down by Wu Ho-Ching. For beginners it is necessary to give here a summary. 25. Never use strength against strength. An opponent's force should be yielded to. When the left side is pushed (when force is applied to it) it should become unreal (empty, yielding). Same with the right. The rest can be treated in a similar way. These are negative ways. The positive way is to use the opponent's force, even to throw him, pound or subdue him. The technical term here is borrowing strength. 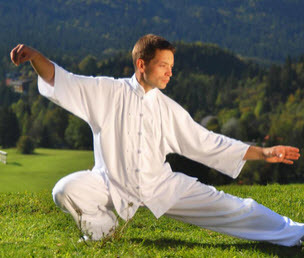 The techniques of Tai Chi Chuan are the most useful in general to attain this end. The main mode of practice in Taijiquan is to do it slowly. This ensures that good fundamentals are built, the Classics themselves exhort us to do the same. None of the sets described in the previous section which contain faster movements is a set that is done first and none of them is the main set in the system. Yang Shao Hou only taught the small frame to those who had achieved a high enough proficiency in the slow form. Yang Cheng Fu and his son Yang Shou Chung only taught Taiji Long Boxing to students who had attained a good level of skill in the slow form. This was the same for his disciples who taught the form. The Tung family fast form is also an advanced set only taught to advanced students as is the Wu style fast form taught by Mah Yueh Liang and Wu Ying Hua. This movement is the same as the opening movement of many Taiji forms. When you perform it your whole body will be stimulated. The circulation becomes stronger, so the blood will flow through the joints and nourish them. This movement is therefore good for poor circulation and arthritis. Tai Ch'i Ch'uan (also spelled Taiji Quan, T'ai Chi Chuan and many other ways) is the most advanced of the Chinese internal fighting styles. It is best known in the West as a yoga-like type of exercise, but it has martial applications as well, as its name (supreme ultimate fist or yin-yang boxing) indicates. This rule also goes for all the joints in the body. A useful analogy here is to think of water in a hose-pipe. When the pipe has a twist in it. or a light bend, the water ceases to flow smoothly, or may stop altogether, the same applies to the chi in the body. So. try to maintain a relaxed and flexible look to the limbs, without tension. 'Ibis, again, enables the blood and other vital fluids of the body to flow easily and without obstruction. 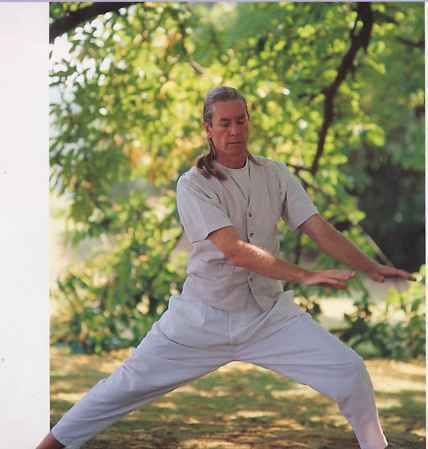 You will notice that a quality of openness and space can be seen in all the photographs featured in this book Ibis is particularly important in tai chi. referring back to this section occasionally, even when you feel you have 'learned' the form thoroughly. In times of doubt, or whenever you suspect your tai chi is not flowing smoothly, check you are not doing something fundamentally wrong to upset your equilibrium. In tai chi. there is always a generous amount of space under the arms, leaving the armpits with an open feeling. Also, the elbows do not come into contact with the sides at any time, as shown far left. AH this frees off the chest ant rib-cage it allows you to breathe more easily and encourages the energy to flow more smoothly along the irms. Do not overdo this, though -we tire not seeking the gorilla' look here Yon simply need to adopt a posture of openness and relaxation. As you place your left foot to the East in a bow stance, load your palms ready for the next fa-jing movement. The left palm's fingers are pointing to the East while the right palm is held in a Taijiquan fist to the rear, loaded ready to strike out to the rear. Photo No. 368. As you place your weight onto your left leg, exhale as you fa-jing, poking your left fingers violently to the East as your right fist strikes to the rear. Photo No. 369. When you do your tai chi. always allow your weight to sink down. A slight bend to the knees helps to create the typical tai chi appearance, which is somewhat low-slung and stealth-like. This characteristic should be cultivated during all of your work so that the movements Jlow one into the other without bobbing up or down. J'you took closely, you will see that in almost all of the stances shown in this book, the knees have a considerable bend to them. 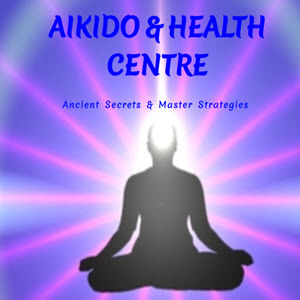 Our vital energy centre is situated in the abdomen - it is a point just below the navel called the Tan Tien. In tai chi. all of the turns, steps and rotations should be directed from here - like a searchlight guiding the movements of the limbs. We also try to direct our breathing down into that area even though the air itself' obviously goes to the lungs, we still imagine the essence' of the breath sinking to the Tan Tien, a constant focus of attention. Try to retain this quality of selj'-awareness throughout your tai chi practice. Here, we step for the first time on to the diagonal axis. Movements of this kind present a fresh challenge, helping us to develop our own sense of orientation. We are now compelled to work in relation to our own centre, without reference to our surroundings - the walls of the room, for example, are no longer of use in lining things up. This enhanced self-awareness is an important stage in the tai chi journey. To the aspiring student of tai chi, the search for suitable instruction can often develop into something of an eternal quest - a path which becomes, the higher one ventures, ever more mysterious, inscrutable - and expensive. It is also notoriously competitive, featuring numerous different styles whose exponents do sometimes try. but usually fail, to reconcile themselves to one another. lite result is a rather pleasant and refreshing anarchy. with still no genuinely international or even, to the author's knowledge, national organization representing the whole of the subject, despite the impressive titles that such organizations might employ. Most people who study tai chi seriously. however, will want to contact a class or group sooner or later in order to progress and to have their tai chi checked over by a more experienced individual. The following routes are suggested. 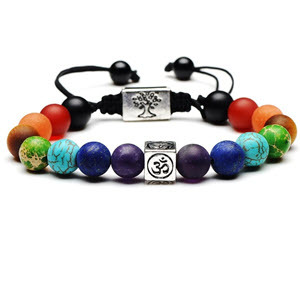 Regularly practised, they give long-term protection against arthritis and other painful ailments that reduce the original flexibility of the body. 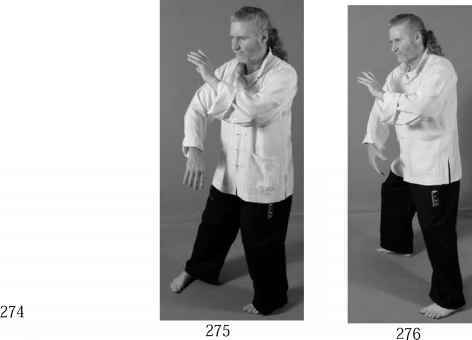 If you are an advanced student (for example, if you have practised Tai Chi Chuan for several years), you can warm up instead with the Ba Duan Jin system described in Chapter 4. Robert Parry School of Tai Chi and Body The Healing School of Tai Chi If you are particularly interested in the martial arts side of tai chi, look for advertisements in combat or kung fu magazines. Also, most of the more prestigious schools will Ik- keen to train their pupils in martial skills anyway, though this is by no means obligatory. WHAT TO LOOK OUT FOR Qualifications, if they exist at all. will usually have been awarded within a particular school, and will have been bestowed upon loyal pupils who have, in the fullness of time, become instructors themselves. But note these credentials are not necessarily an insurance of excellence. Rather, the best qualifications to look for in a prospective teacher of tai chi, or any other subject for that matter, are kindness, patience and a willingness to share his or her knowledge with others. If these are lacking, no matter how grandiose the titles, try elsewhere. You have now done a counter clockwise circle with your right palm. Now, push your right palm through that circle until your right elbow is locked. This is the only time that there is a straight arm in Taijiquan There is a good reason for this however. Yin and Yang energy (electricity) if we are using Internal Energy as opposed to pure physical strength, must have its opposite to return to the body. In the next movement we are doing a very powerful one handed palm strike and so we must have all available power. AS the strike is releasing Yang Qi, there must be a Yin route for it to return. Now if we make the right elbow relax and bent, then the Qi has what is called an 'upper heavenly circulation' by which to return. This is not as powerful as we can have, so we simply block the Qi from entering via that route as all tension creates Qi blockages Now the Yang Qi finds its only other route via the rear leg causing a far greater strike because of the larger circle of Qi. When learning many of Ihe tai chi morements it is often helpful to visualize a hall being held in rations ways between your hands, litis ensures a good energy connection between the palms which, in time, you will begin to fee Of course, the ball itself does not always hare to be strictly spherical in shape sometimes it becomes stretched or compressed, and at iilhein small or large. Ibis principle of communication between the hands and arms continues throughout almost ihe entire form. Rhythm and tempo are, in fact, the keys to fluent tai chi technique. The rhythm is one we are all very familiar with the rhythm of the breath. When we are very relaxed and calm our breathing becomes long and regularly spaced conversely when we are excited or angry our breathing becomes rapid and irregular. In tai chi we cultivate regular breathing coupled with slow, carefully measured movements so that, in time, we become more internally balanced and harmonized with the natural world. Japan's warrior-monks and the monks of the Shaolin Temple are at least as famous for their fighting arts as for their faith. European monks are commonly remembered as pacifistic, but early medieval monasteries only admitted members of the nobility -many of whom took their vows after receiving martial training. By the 12th century, some dispensed altogether with the veneer of pacifism and created military orders, such as the Knights Templar. Later monks penned several fechtbucher and appeared in the illustrations of many more, demonstrating sword-and-shield play and wrestling moves. The Far East hardly had a monopoly on the fighting monk. A traditional fighting art often has a philosophy that augments its martial base or even constitutes the foundation upon which it's built. For instance, the strikes, footwork, and forms of Pa Kua Chuan (pp. 187-188) are all founded on an interpretation of the I Ching. Stylists walk circles to stay in harmony with the Tao and practice utilizing chi (see below) to protect themselves and defeat foes. The backbone should be over-all straight and vertical and only very rarely leans slightly forwards. Remember that technically, the backbone can never be perfectly straight as it has an 'S' shape. This is natural. The spine should be vertical (plumb and erect) at all times, never leaning back and forth, or side to side. This point is quite important. I have experimented with this particular aspect and have found it most beneficial in both healing and medical and self-defence. 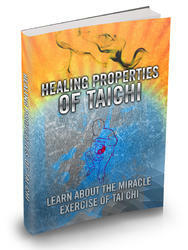 I have a treatise on Taijiquan that comes from the purest source. It is in 3 parts and after having it slowly translated as it is in 'old Chinese', I have found that there are no less than ten references to the vertical backbone in the first four pages Never hunch the back. However, there should be a slight rounding of the back both vertically and horizontally. This gives the double bow effect, which is important for releasing energy for healing and for fa-jing. While I don't insist that you immediately stop training in any discipline or martial hard style in order to learn bagua from me, you will eventually reach a point when you must choose the path that best suits you. Human nature is such that the average student usually resists and resents this need to start over. I have been faced with such a need several times, and it is never an easy task on any level. There is a world of difference between baguazhang and taijiquan, not to mention Goju Karate, Hung Gar, or Wing-Chun. In addition, in the case of Taijiquan, there is the requirement for sensitivity. In this modern age, information is power and in the world of Taijiquan it is no different. Information about the opponent is instrumental in being effective in combat against him. As the Art Of War states 'know the opponent as you know yourself, a hundred battles a hundred victories'. 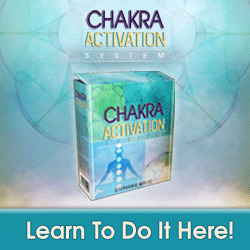 There are eight major areas of Qi flow in the body. Moreover, we must address all of these flows in order to maintain a balanced healthy body and mind. There are other flows of Qi of course, but it is these eight main flows that we are concerned with when practising Taijiquan. Master Cheng Youlong, also known as Haiting, was from the Cheng Village in Shen County in Hebei. His father was Cheng Tinghua. Cheng Tinghua was in the business of making eyeglasses. He was a top student of Dong Haichuan He was very skilled in the Bagua Quan method. Men called him Eyeglasses Cheng. Youlong studied with his father for many years. His literary skills were excellent. His disposition was upright, cheerful, and curious. He researched each branch of the Internal Martial Arts, Bagua, Taiji, and Wuxing. Without a doubt he was pure and fine. He had many followers and partners. In November 1928 he died in Tianjin. Later his burial place was changed to Beijing. The family still teaches his skills. They feel that these skills are unique. This chapter's techniques don't constitute an exhaustive list. Each martial-arts master has unique moves, a typical fencing manual describes hundreds of attacks and parries for one type of sword, and a global survey of unarmed fighting arts would reveal thousands of kicks. This doesn't even touch on feats from legend and cinema, which - freed of the fetters of physics - vastly outnumber realistic techniques Thus, the GM is likely to learn of new techniques from fact and fiction . . . and face players who want signature moves for their characters. It is of primary importance in taijiquan to distinguish between Xu (Empty) and Shi (Solid). If you shift the weight of the body on to the right leg, then the right leg is solidly planted on the ground and the left leg is in an empty stance. When your weight is on the left leg, then the left leg is firmly planted on the ground and the right leg is in an empty stance. Only in this way can you turn and move your body adroitly and without effort, otherwise you will be slow and clumsy in your movements and not able to remain stable and firm on your feet. As its name indicates, the Way of the Silver Shield is mainly a defensive fighting art. Its precise origins are lost in the mists of time. However, the legends that are told to Silver Shield trainees tell of a small tribe somewhere in Vietnam which was beset by the demonic servants of an evil wizard known only as Thuc Minh the Destroyer. In order to combat these demons, the people of the village were forced to adopt defensive tactics and thus the style was born, named after the silver shield used by Hoang, the village's leader. The legends also say that the most advanced practitioners of the Silver Shield style are able to develop senses beyond those possessed by normal humans. In practising taijiquan, the focus is on the mind and conciousness. Hence the saying The mind is the commander, the body is subservient to it. With the tranquility of the mind, the movements will be gentle and graceful. As far as the frame is concerned, there are only the Xu (empty), shi (solid), kai (open) and he (close). Kai not only means opening the four lims but the mind as well, he means closing the mind along with the four limbs. Perfection is achieved when one unifies the two and harmonizes the internal and external parts into a complete whole. Fig. 3-The right foot is then drawn over to the left ankle in the loose-ankle step of Tai Chi Chuan, and advanced in a similar manner. Practice in this step strengthens the hips and feet, developing balance. The most important point in practicing this step is that the hips and shoulders do not change their level. The arms act as antennae, sensing obstacles, and protecting the head. Practice in this step develops an unconscious awareness of the body as a whole. In the case of the Outer School of boxing, the emphasis is on leaping, bouncing, punching and the exertion of force, and so one often gasps for breath after practising. But in taijiquan, the movement is blended with tranquility, and while performing the movements, one maintains tranquility of mind. In practising the frame, the slower the movement the better the results. this is because when the movements are slow, one can take deep breath and sink it to the dan tian. It has a soothing effect on the body and the mind. Learners of taijiquan will get a better understanding of all this through careful study and persistant practice. Sticky Hands combat techniques combine short punches, low kicks, and circular blocks. They use subtle hip movements to develop attacking power and to redirect the opponent's attacks. The Chinese arts of tai chi and wing chung can both be modeled with the Sticky Hands School. To compound the issue, the types of physical skills necessary to do Chinese Opera or compete in a kung-fu taiji tournament in forms are the foundation of combative training (i.e., you have to be strong, healthy, and co-ordinated to defend yourself). And even the simplest and harshest combative action can be done so well so that it appears magically easy. It is at this stage that one begins one s training in the Old Yang Style. This is the first Yang style of Taijiquan invented by Yang Lu-ch'an. Originally, it took around 6 years just to learn the physical part of this form, then further time to take it internally. Now, when one learns the Yang Cheng-fu form, it takes around two to 3 years to learn the physical movements of both forms. Yang Cheng-fu (the first form that one learns) changed his father s form so that all could take the great benefits from Taijiquan and not lose the original essence. Unfortunately, others took it upon themselves to change this form even more, thus losing the essence of Taijiquan. In this context, I have tried to live by some very good advice I received from one of my former taiji instructors, Alan Weiss. He suggested, as I continued to train and develop my understanding of taiji and bagua, that I focus on being a first-rate Michael Babin rather than a second-rate Erle Montaigue. The Mind's Eye is the way we perceive the outside world in relation to ourselves. In Taijiquan we alter the normal perception via the way we practice. In doing the set slowly and with full intent, we become aware of the transition of the movement through time and creates a internal division of time according to the stages of movement. When doing the movement quickly this internal division still applies but because it was previously set at a slower pace, the movement though quick to others still has the same quantity of time internally which allows us to function at speed without losing perception due to it. Yang Tai Chi Chuan first became well known through the prowess of its founder Yang Lu Chan. So skilled was Yang Lu Chan that he gained the prestigeous title Yang The Invincible. The art that Yang Lu Chan taught and was practiced by his sons and students is quite different from the Chen style of Tai Chi Chuan as popularised by Chen Fa Ke. The old Yang form as taught by Yang Lu Chan and his sons in Yung Nien, before he left for the capital to teach at the imperial court still exists and it is quite similar to the modern Yang form and is quite distinct from the Chen style of Tai Chi Chuan. So the art taught by Yang Lu Chan was not Chen style Tai Chi Chuan, even from the very beginning. It retains the characteristics of the modern form and even though it retains the strength explosions (fa-chin), it is still quite different posturally from the modern Chen style of Tai Chi Chuan. These classics were written sometimes in ancient Chinese. So often, the translation into English leaves something to be desired. For the most part though, they are well straight forward and they do give us a flavour of what Bagwa is supposed to be all about. Unlike Taiji, Bagwa has only a few diagrams left to us by Sun Luc-tang. The forms as we know them have been handed down through the generations and all we have is the spoken word and movement of body leaving us with only the classics to go by, thus allow us to find the right path to Baguazhang . The word Wuji refers to a Chinese philosophical concept. In Western terms you can compare it to the existential void that existed before creation or the big bang. It divided into the movement of Yin and Yang called Taiji (not to be confused with the martial arts that go by that name as well), and Taiji gave birth to the universe as we know it. The Chinese call this the Ten Thousand Things. If you can get a strike in at this point when the recipient is not expecting it, it will have a great affect, shocking the whole body and has been known to cause knock out. 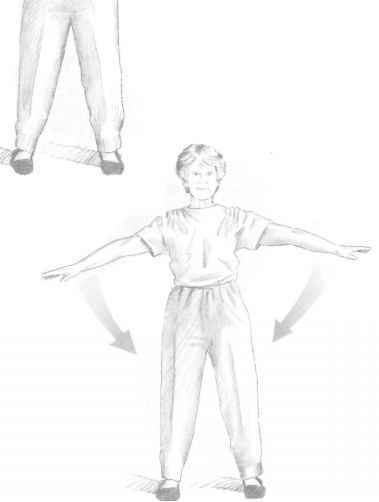 The area however is well protected by the > external oblique muscles and can be flexed to afford some kind of protection especially if the attacker has been practising > iron shirt qigong. Iron shirt qigong is a qigong method of moving and breathing that will, over some time, afford some protection to external strikes especially around the torso area. My video No. MTG22 Taiji Healing and Iron Shirt Qigong shows the way to gain this ability. This is the most common type of energy emission used in Taijiquan. It develops from the feet and because the energy path is long, through all the joints and ending at the fingers, it is called 'Long Energy'. 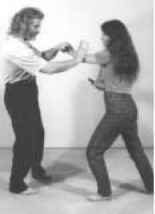 It is commonly seen when Taijiquan exponents 'bounce' out their push hands partners. The whole body of the opponent is physically pushed away by moving his centre of mass. If it is done correctly, both his feet should leave the ground when he is propelled away. This is why the technique is called 'uprooting'. Grasping musculature in Taijiquan is akin to the specialisation of Chin-Na (Grasping and Holding) which is an advanced skill in many forms of Chinese martial arts. The difference is that in Taijiquan, the use of positional advantage, momentum and structural advantage is of more importance than super strong fingers. The sensitivity of combat Taijiquan permits the use of the opponent's structure, position, mass and momentum against himself causing him to literally lock and tie himself up with his structure with the Taijiquan exponent simply 'helping' him do it. The result of this is that his body is unstable, rendering him vulnerable to serious injury should the the Taijiquan exponent chooses to do so. The locks and holds also cause sprains, tears of the musculature and dislocations of bones at the joints which further disable the opponent. 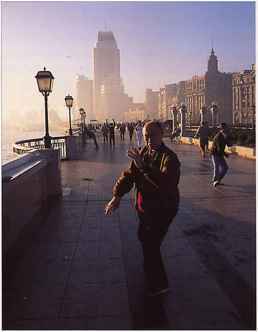 The Taijiquan Classics are a collection of early writings on the art that are regarded by Taijiquan practitioners as containing the essence of the art. The majority of listings of these classical works contain the writings recorded in Li I Yu's handwritten manuals. The contents of these manuals are regarded as the core writings in the Classics and hold a special place in literary tradition of Taijiquan. They are also probably the oldest writings available on the art of Taijiquan. In addition to the translation into English for these classic works, I will be adding my own commentaries to them to further expand upon the meanings contained in them and their context and historicity. Some of the translations are taken from earlier translations, I have felt that there was no need to redo their fine work, others which have never been translated before have been translated by myself. Where the translations are not my own, they have been credited to the original translators. 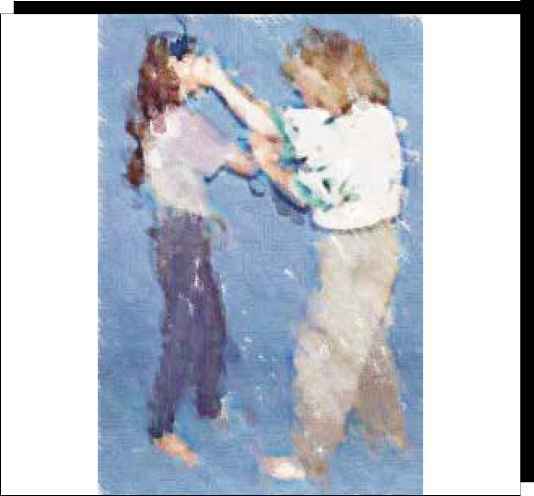 My father's focus was on using Xing Yi as a fighting art. One of the things he emphasized was the ability to deliver a very powerful blow from a short distance. He said that winding up a strike or using a lot of brute strength was just a waste of energy. With the proper body mechanics, timing and momentum, a very strong blow can be issued from a distance close to the target. My father's stance was somewhat higher and smaller than many others, he emphasized mobility. Beginning students can start with larger movements, but at a higher level motion should be natural and compact.